Zach and Stella didn’t intend to fall for each other. In fact, she was vehemently against the idea. But sometimes, life leads you where you’re meant to be. For these two, it was something much more than puppy love. 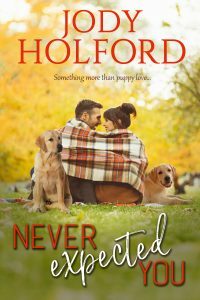 Check out Never Expected You by Jody Holford, out now! 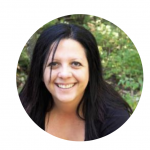 Jody Holford lives in British Columbia with her family. She’s a huge fan of Rainbow Rowell, Nora Roberts, Carly Phillips, Rachel Gibson, Sophia Kinsella, and Emily Giffen. She’s unintentionally funny and rarely on time for anything. She writes multiple genres but her favourite is romance. Holiday Recipes: Grandma Jane’s Chocolate Dipped Peanut Butter Balls with Shae Ross!